We have received the following message – see below. I replied that we need to discuss ths publicly. Please post your comments. Thank you. No, the nation not. its us. Are you serious? How is that even an question? How can you buy a country, especialy, a sovereign one, as Wirtland claims to be? I think there is a law in some international treaties that says you can’t buy a country? Any law experts here? Why would we want to sell the country? Give us capital to start over? Seems like a strange idea. If the investors want to set up a business of some sort and put in money, ok. We have no resources as such (mines, timber, fish etc) to sell, so what could we offer them? I don’t want to sell the whole of Wirtland. You are all right in your thought, a country can not be sold nor bought. Nevertheless, it can be bought indirectly! With foreign investment, a foreign government can buy all the debts and assets to lower the deficit of any given country. The best example in that today is Qatar, who buys French real estate, who bought UK royal real estates and who’s buying Australian agricultural land, and that’s all only a beginning! I say before dealing with any foreign investment, we should establish laws, regulations and real ”existing” foreign relations with other countries. Once we have international recognition, we will be attracting more foreign investors, but in the same time, our population must highly increase. 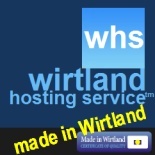 One of important questions is: What is Wirtland – country or project. 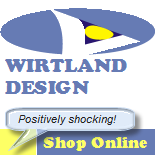 Look here: “Is it possible to buy Wirtland project? Who should be contacted?”. If Wirtland is a project – they can. If Wirtland is country – they can’t. The real word is not Buy, but Conquer. i think the publicy its fine, we need incomes, for buy at an embassy or we need representation in the United Nations to.